November 17, 2016 – The award-winning Tractive GPS Pet Tracker protects and improves the lives of pets and pet owners worldwide. Today, Tractive announces a new product in their line-up. 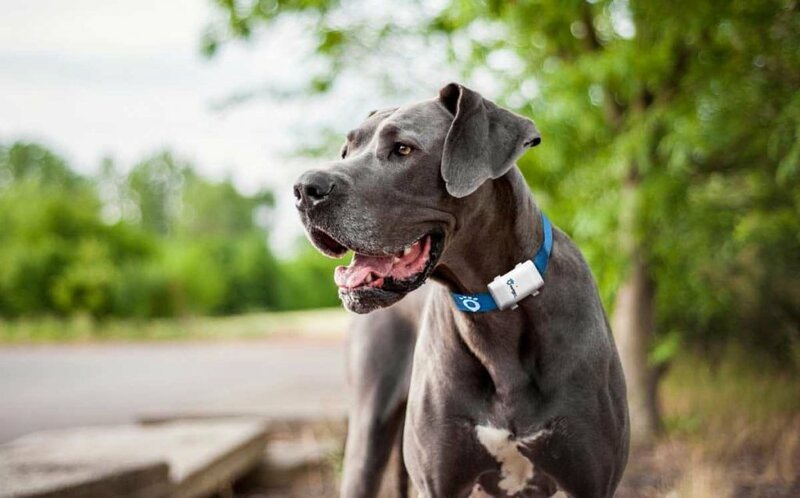 Tractive GPS XL is a new and improved version of the very successful Tractive GPS Pet Tracker with a long-life battery lasting up to 6 weeks on one single charge. The new Tractive GPS XL is available for €79,99 ($ 99.99) in the Tractive online shop and in partnering stores worldwide. The new XL version is specifically developed for larger dogs and animals above 20 kg (40 pounds). Tractive GPS XL helps pet owners locate their dog, or any other XL animal – anytime, anywhere using free apps for iOS and Android. The LIVE-Tracking feature allows the user to track a pet in real-time and pet owners can follow every step of their beloved friend. By defining a Safe Zone pet owners immediately get notified when their pet runs away. Tractive GPS XL works with the free Tractive GPS app and is available for iOS, Android and Windows Phone. Users are also able to locate a pet through the free Tractive GPS web app on www.tractive.com. Consumers can order Tractive GPS XL at tractive.com/shop for €79,99 ($ 99.99) and the monthly subscription plan will be unchanged (starting as low as €3,75 / $6 per month). Tractive offers worldwide coverage and provides service in more than 80 countries.